Real Madrid may struggle to sign Chelsea star Eden Hazard anytime soon, with reports that the Belgian international is perfectly settled and happy at Stamford Bridge. The 24-year-old has been possibly the best player in the Premier League this season, helping the Blues to the top of the table and a likely title win as the end of the 2014/15 campaign draws nearer. Real hinted at interest in signing Hazard, with reserve team manager Zinedine Zidane saying he is a big fan of his talents, though it is thought that there is little chance of the player leaving Chelsea this summer. The Daily Telegraph state that Hazard is ready to continue his development with his current club, having impressed in England since he joined the Blues from Ligue 1 outfit Lille in the summer of 2012. 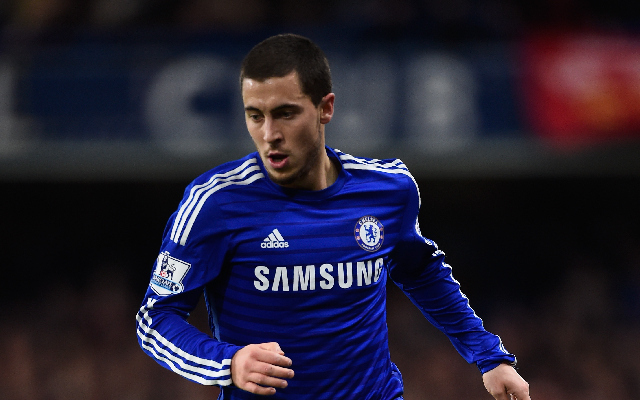 Read the latest Chelsea transfer news on our FREE Football app! Real already have a number of world class attacking midfielders on the books at the Bernabeu and may not be in desperate need of signing Hazard for the moment.